Lowepro 40th anniversary "protecting the polar bear" rucksack and camera bag. 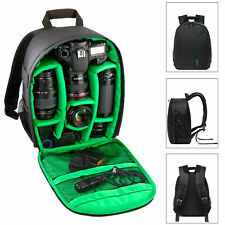 The bag has numerous internal pockets, camera and lens compartment at the back and a waterproof cover. The bag is in very good condition and has been used. Dispatched with Royal Mail 2nd Class. It can beused with any standard DSLR make. 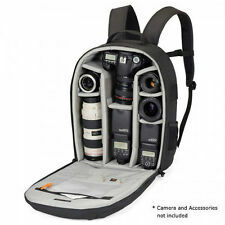 Tenba Camera Rucksack Large , Waterproof & in good used condition . As seen . There is a small Gladstone-styled grab handle and of course a conventional rucksack double strap with bracing. Sling Strap For Instant Access & Convenient Carrying. 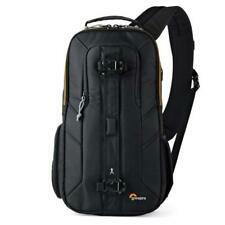 The case has a sling strap for easy access and convenient carrying making it ideal for photography on the go. Sports & Exercise. Compact, Durable Nylon With Protective Padding. Lowepro camera backpack suitable for DLSR cameras Padded pockets to hold your camera body securely and a couple of lenses Loads of other pockets to organise accessories so they can be found quickly Adjustable padded shoulder straps Adjustable padded lumbar support Rain cover concealed in the base which pulls over the entire bag From a smoke free home. Please check out my other items as I’m having a huge clear out. Easy access points at the top, side, and below help you quickly organize your gear or grab it to get a shot. Water-repellent nylon bag with rain cover protect your valuable photo gears from rain, snow, dust and sand. Large Lens Protector. Doesn't look like it's ever been used. Also with a laptop pocket and a tripod holder. Padded Removable Multi-format Divider. FREE EARPHONES and MIC WITH EVERY BAG . Quick access front pocket for personal belongs. 10 Years experience. Can I Change My mind?. I will respond as soon as I can. Lowepro camera backpack 2 main compartments. Bottom compartment has dividers which can be rearranged depending on the type and size of camera you own. 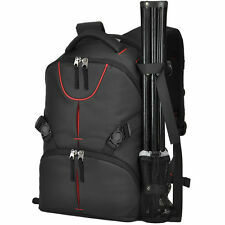 Approx 45cm tall x 32cm wide This is a sturdy bag and great for carrying camera equipment. Feel free to ask any questions. I will post the bag to you. Lowpro Rucksack Camera Backpack . Condition used but in very good condition. Lots of pockets / zip pockets. Fits in lots of lenses and a couple of SLR size cameras. Great for hiking A’s also backpack. Collection from Truro / St Austell only. In very good condition. Cost over £140. There is a small Gladstone-styled grab handle and of course a conventional rucksack double strap with bracing. It's a used item so obviously shows light signs of use but its actually very good all round having had what appears to be only light use previously. Kata KT DR-467 Overview. There are external pockets that allow quick-zippered access to supplies, and a water bottle/ tripod support pocket pulls out from a side pocket. 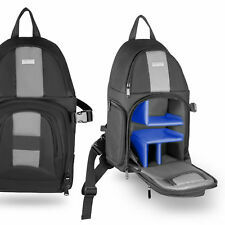 TheKata DR-467 Digital Rucksack (Black) features. 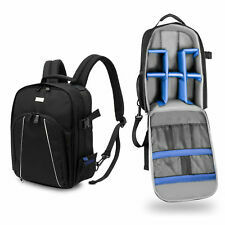 Triangle Camera Bag Deluxe Rucksack Backpack Accessories Bag! New! Only £ 14,90!